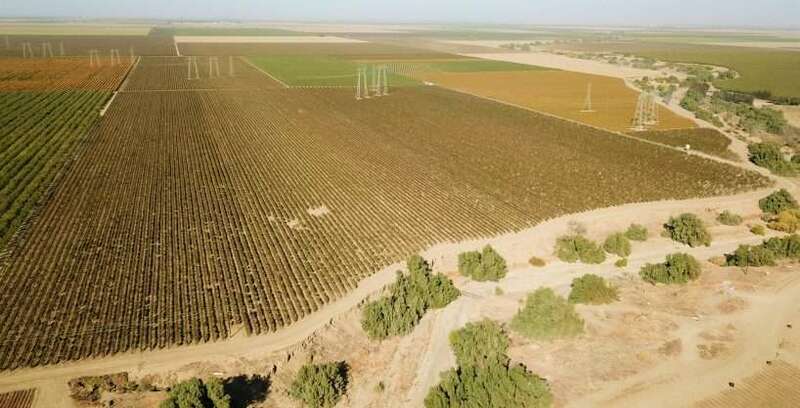 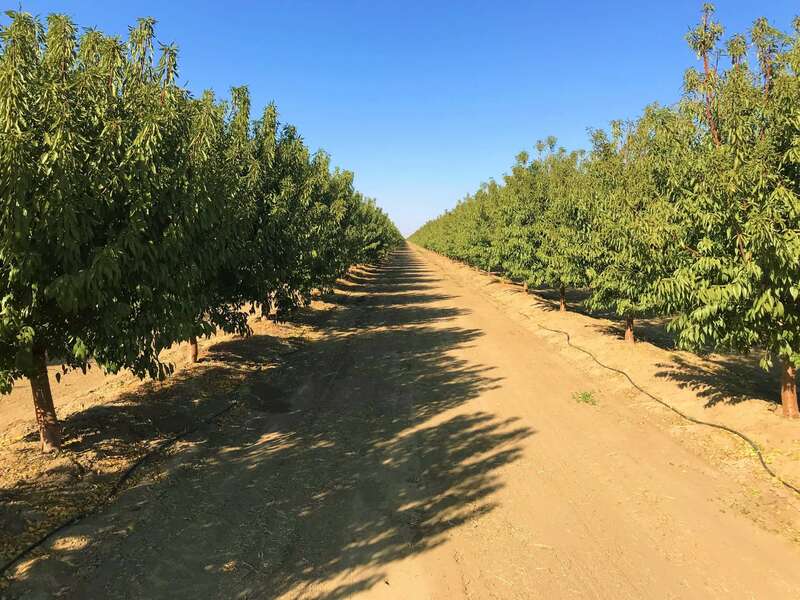 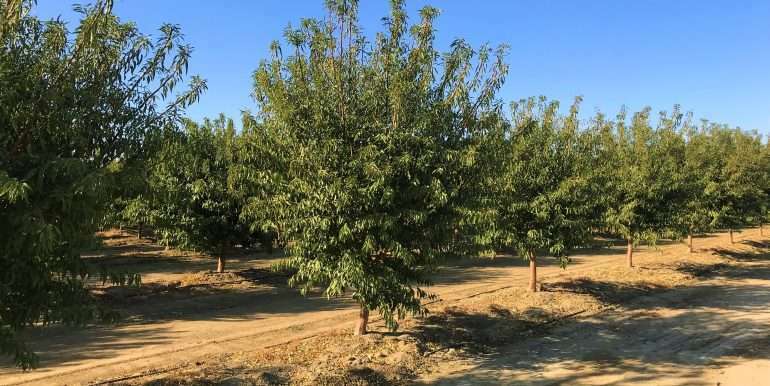 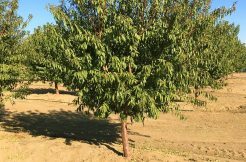 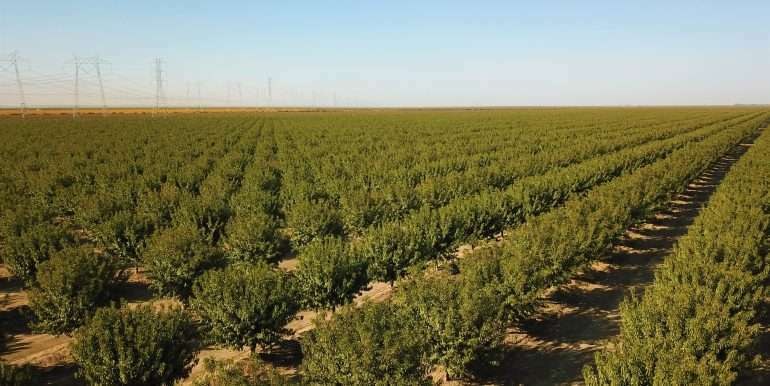 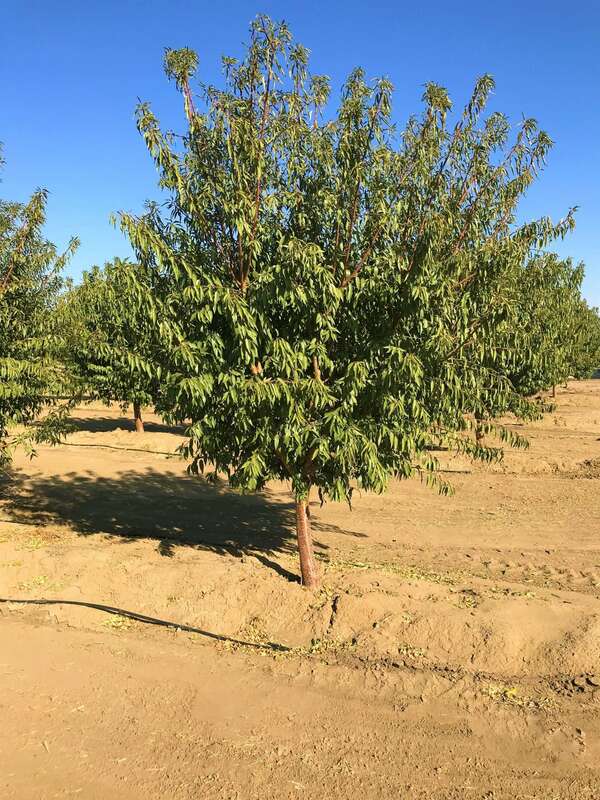 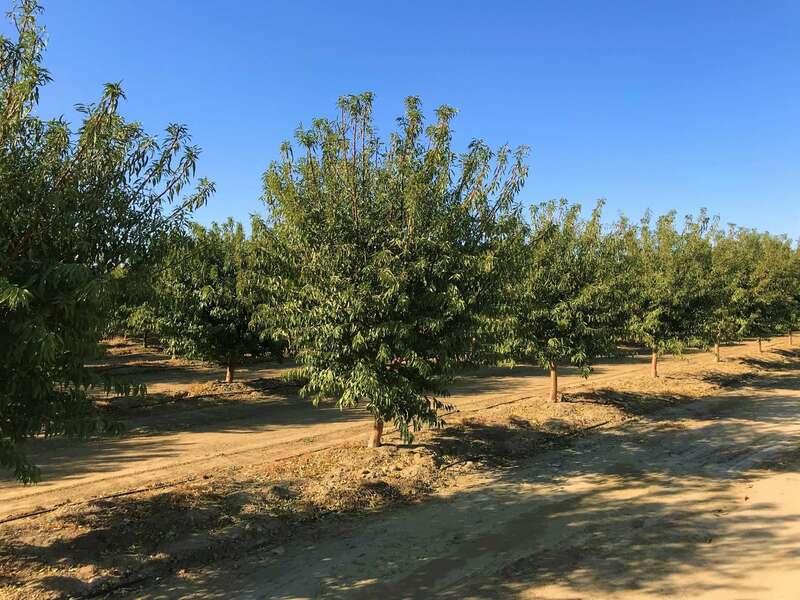 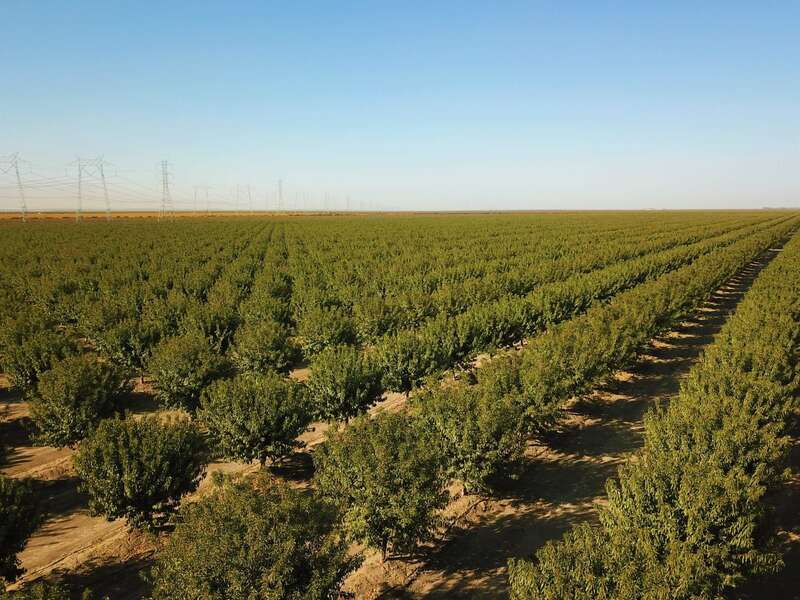 Almonds and vines for sale in Westlands Irrigation District! 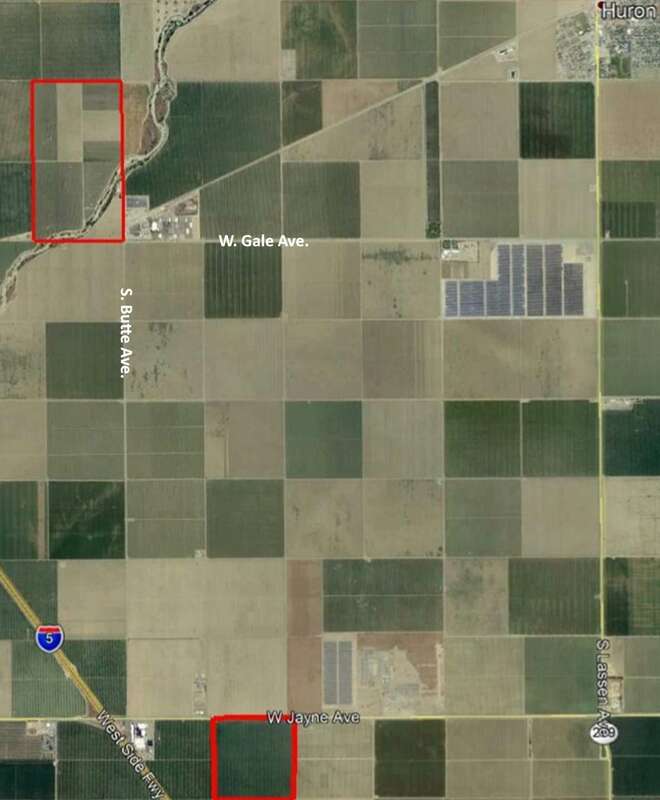 The Northern part of the ranch is located at the Northwest corner of Butte and Gale Avenues. 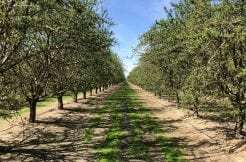 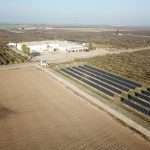 The Southern part of the ranch is located South of Jayne Ave. a half mile East of Butte Ave.
+/-260 acres of Non-Pareil/Monterey Almonds. 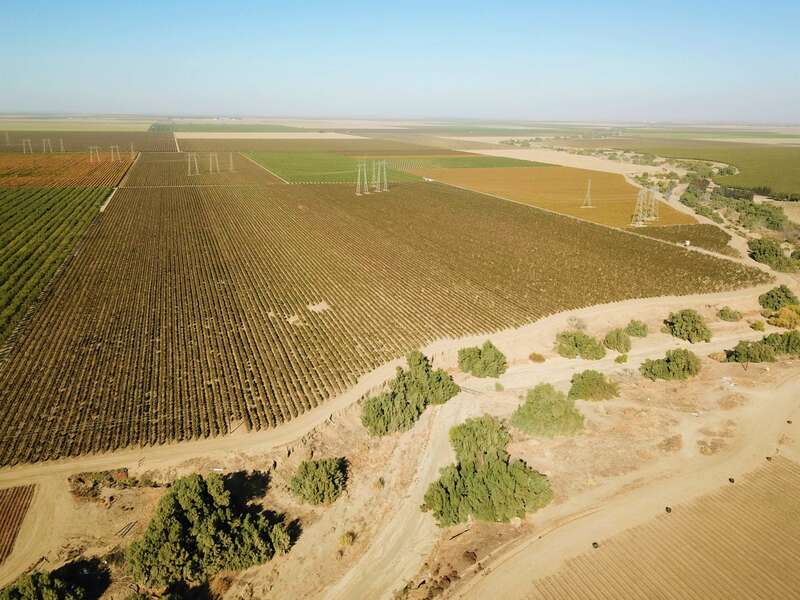 +/-112 acres of Chardonnay grapes. 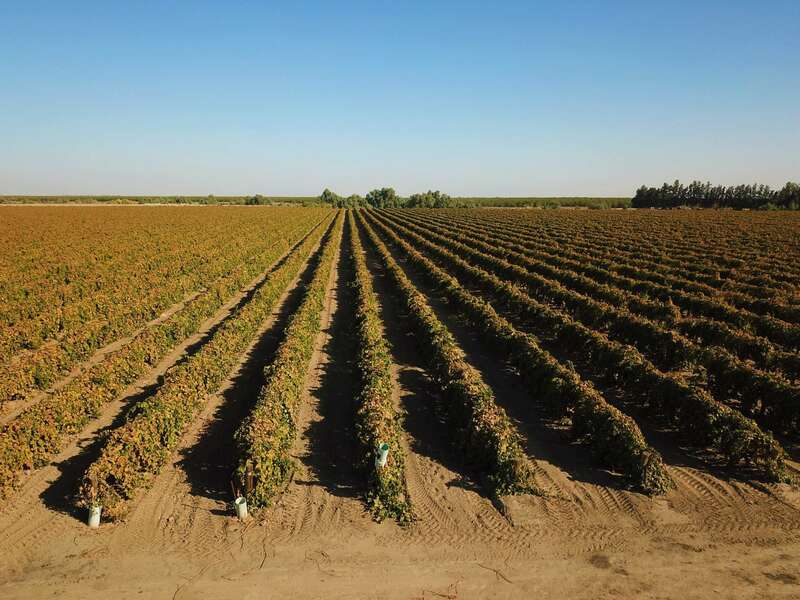 +/-60 acres of Thompson grapes. 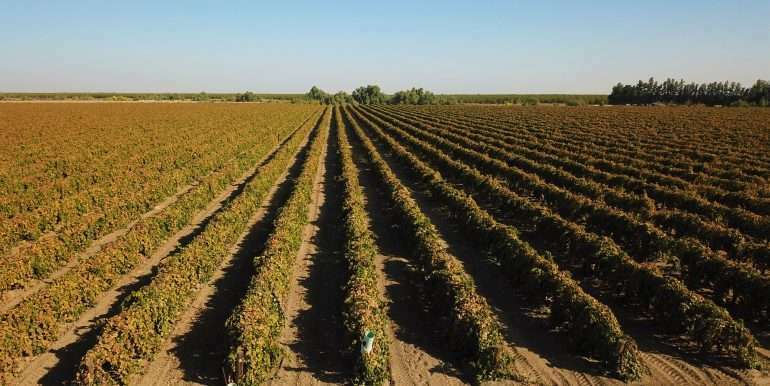 +/-50 acres of Ruby Red grapes. 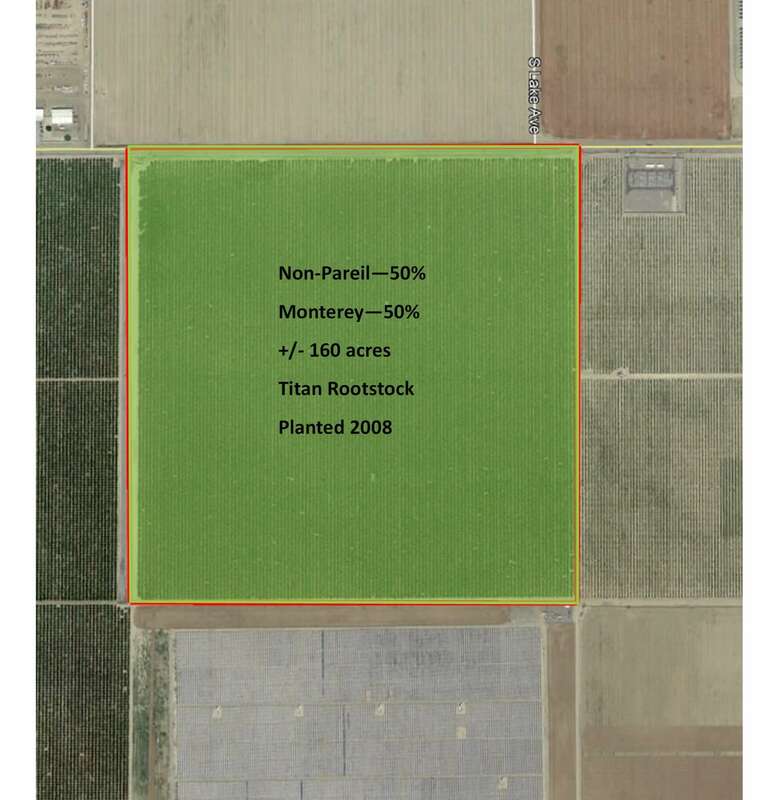 +/-160 acres planted in 2008 on Titan Rootstock. 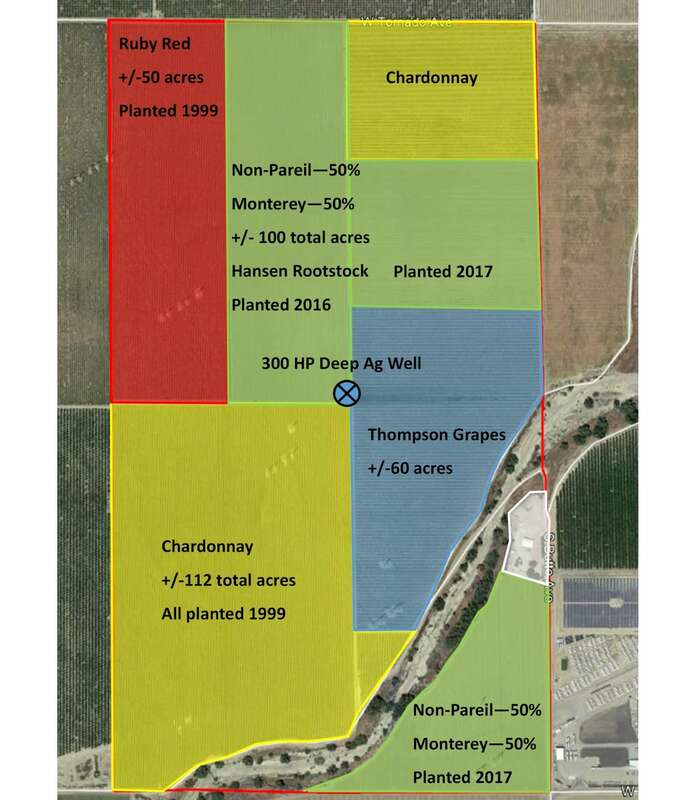 +/-50 acres planted in 2016 on Hansen Rootstock. 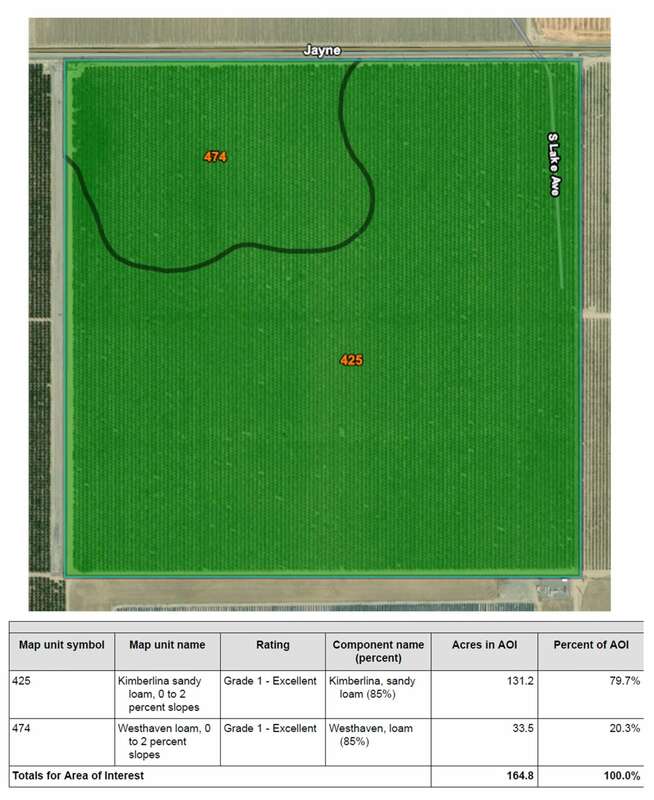 +/-50 acres planted in 2017 on Hansen Rootstock. 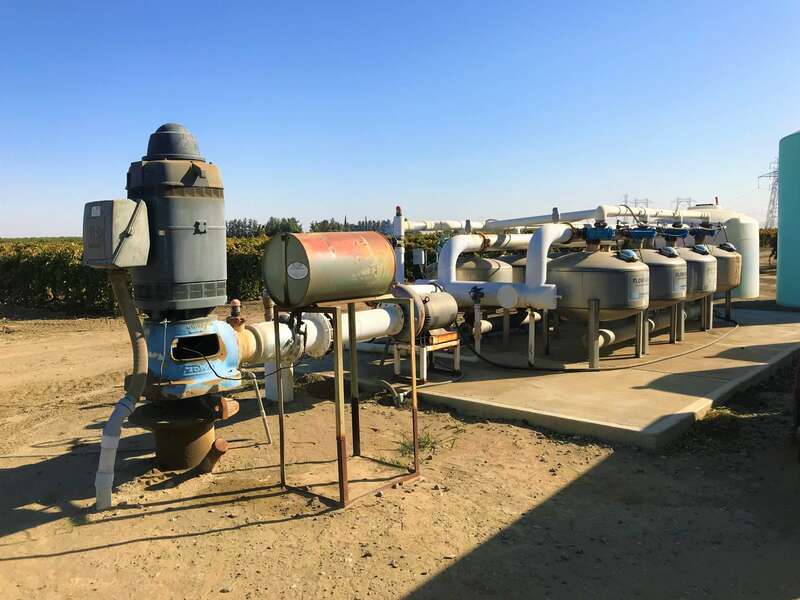 One Deep 300 HP Ag Well with sand media filtration and drip irrigation system. 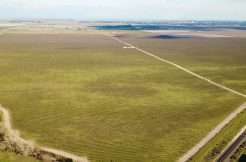 Surface water provided by Westlands Water District. 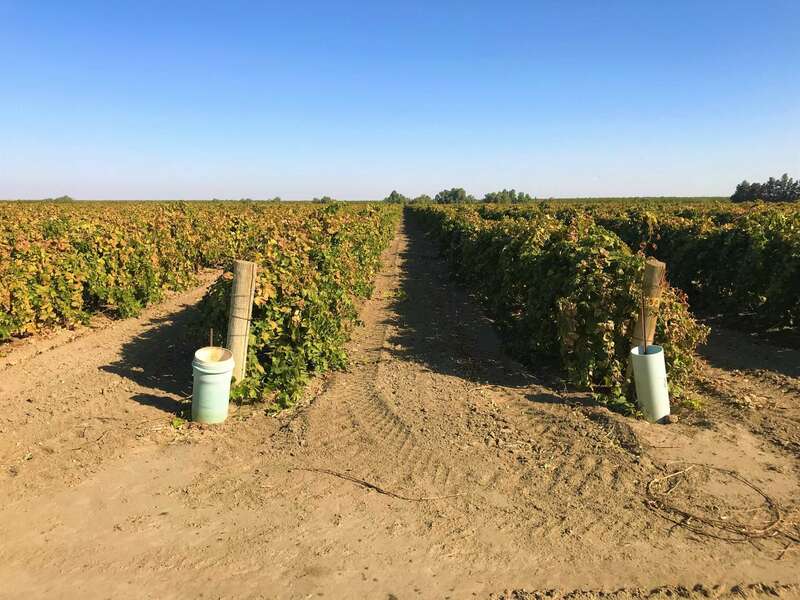 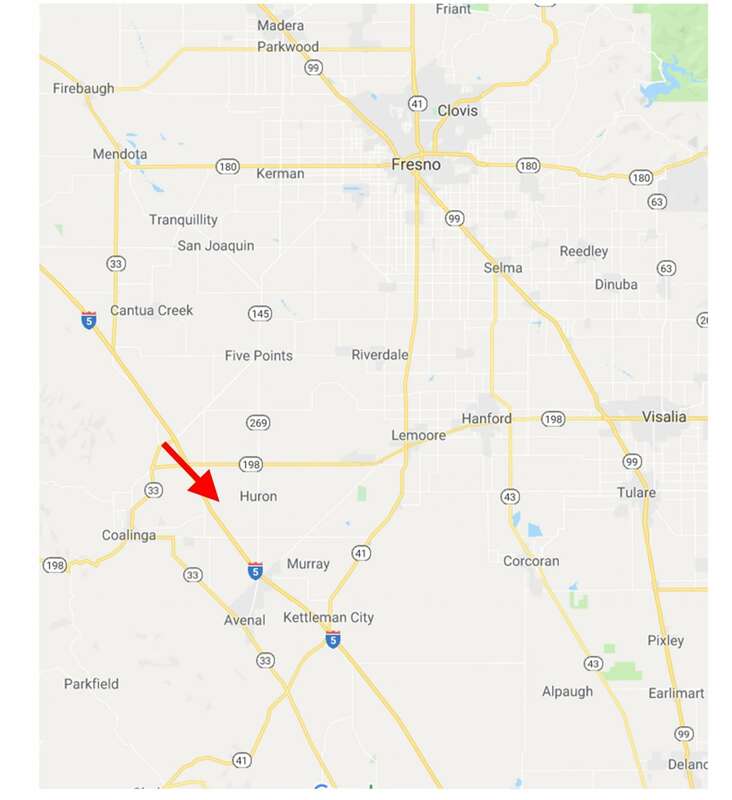 Fresno County APNs 075-040-34S, 54S, & 55S and 085-040-05S. 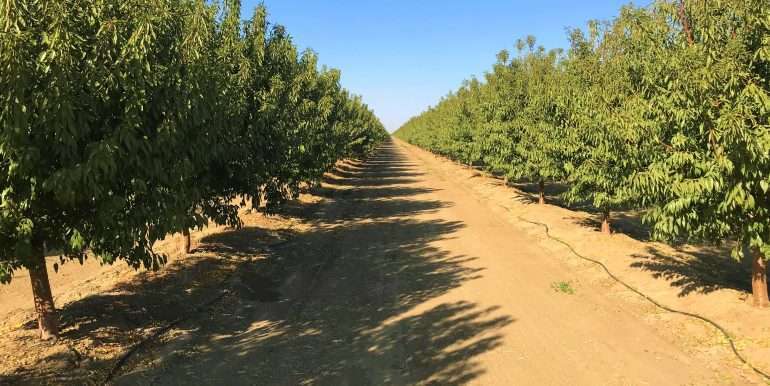 1) The Sustainable Ground Water Management Act (SGMA) passed in 2014 requiring groundwater basins to be sustainable by 2040. 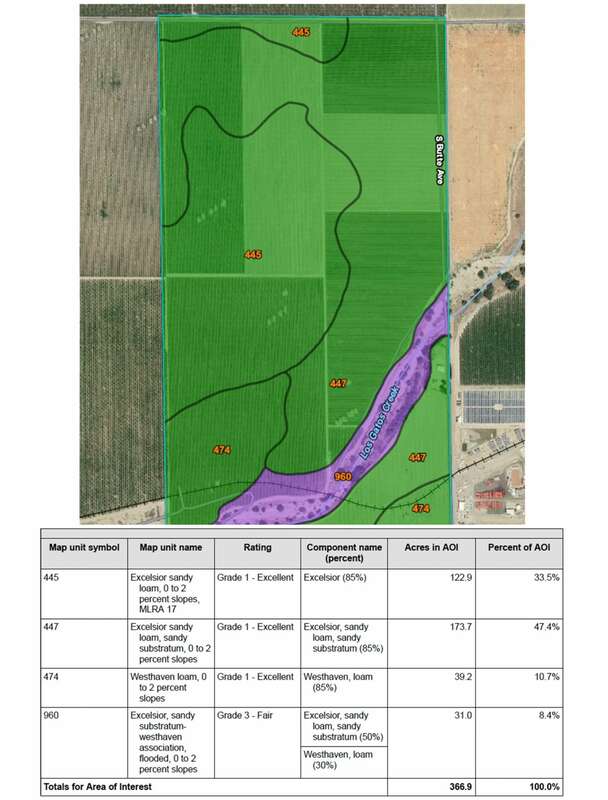 SGMA requires a Groundwater Sustainability Plan (GSP) by 2020. 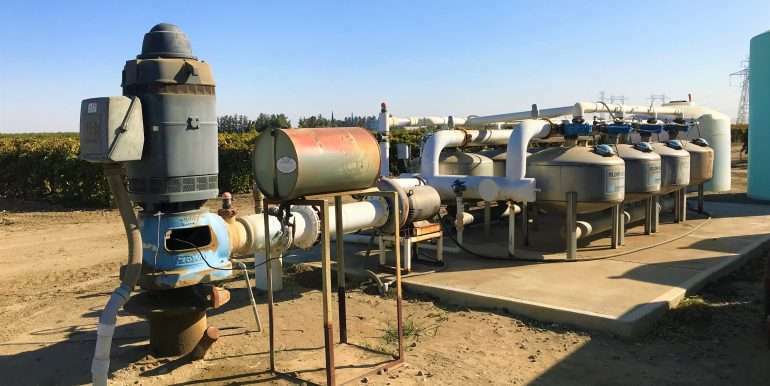 Said plans may limit the amount of well water that may be pumped. The subject property is in the Westside sub basin and the Westlands Water District Groundwater Sustainability Agencies (GSA).